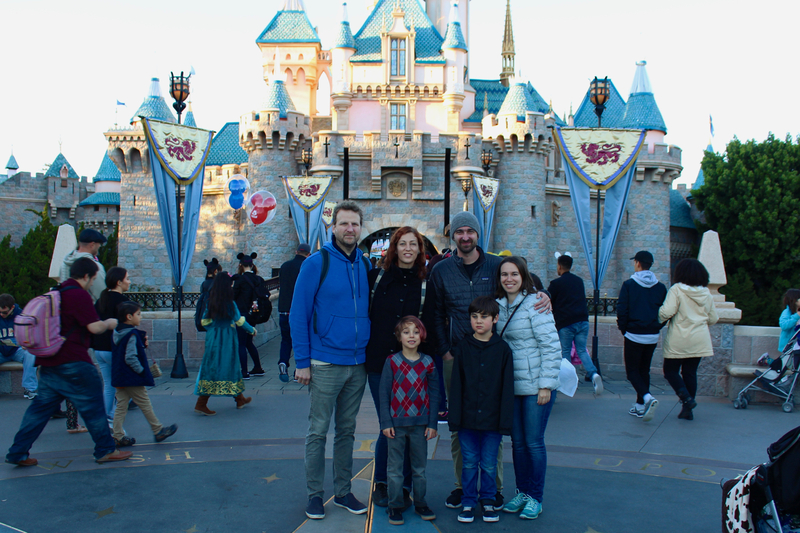 Last week Waits turned SEVEN, which meant that it was once again time for our annual, full-family pilgrimage to the Mouse House, for an exciting, exhausting, fun-filled adventure at the Happiest Place On Earth™. We came. We saw. We held onto our hats for the wildest ride in the wilderness! Shenanigans! On the road bright and early. 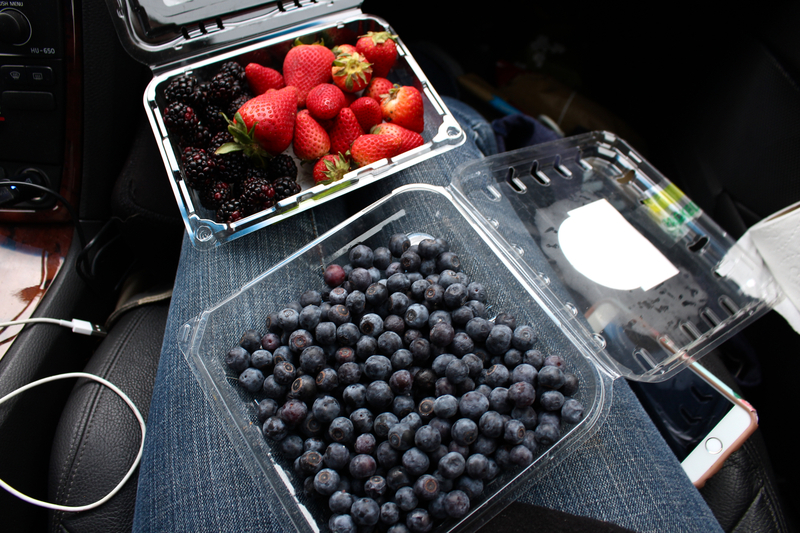 Healthy breakfast before the madness — all the berries. Plus coffee. Lots of coffee. This year, for the first time, we had another kiddo with us. Waits brought his best friend Weston (“the two double yoos”, they say), and wow it was so super awesome! They got along great and kept each other company and the whole day was so amazingly and unexpectedly smooth and easy and huzzah! A success! Alas, our favorite ride (Pirates of the Caribbean) was closed for repairs, and The Matterhorn was closed as well. But otherwise we hit all the important stuff — Star Tours and Splash Mountain and Haunted Mansion and Thunder Mountain and Indiana Jones and Jungle Cruise (cringe) and even that little roller coaster in Toon Town. It also rained (briefly), and that was a first. Not that it put a damper on our fun. If anything, the weather kept the lines short! 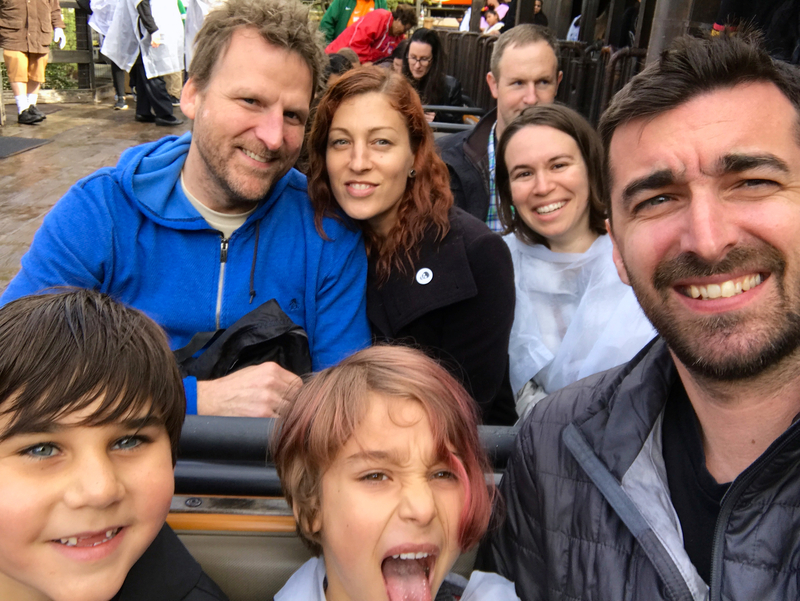 The whole crew, all together on Thunder Mountain Railroad. 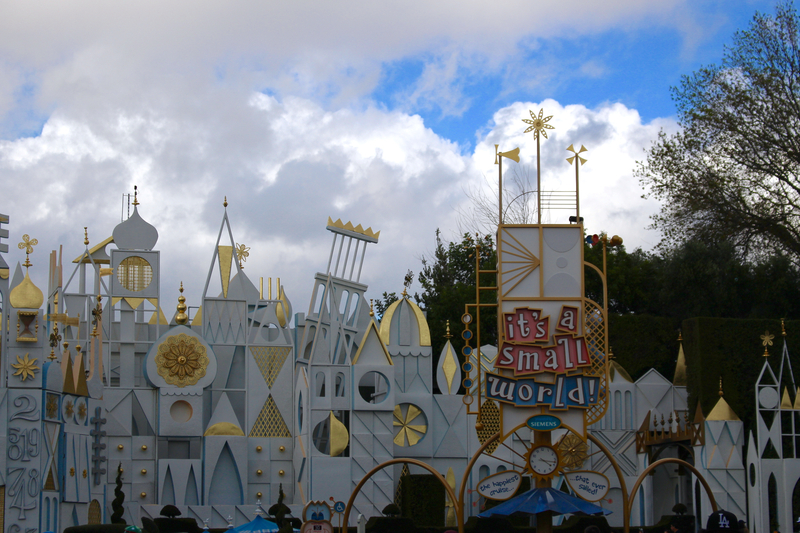 The exterior design aesthetic of Small World will forever be my favorite. Mid Century Futurism, perfected. 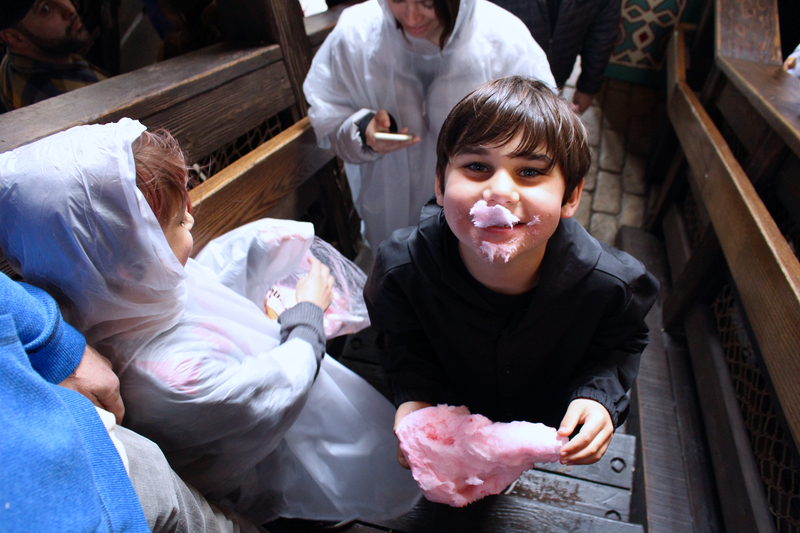 First ever cotton candy, for the both of them. 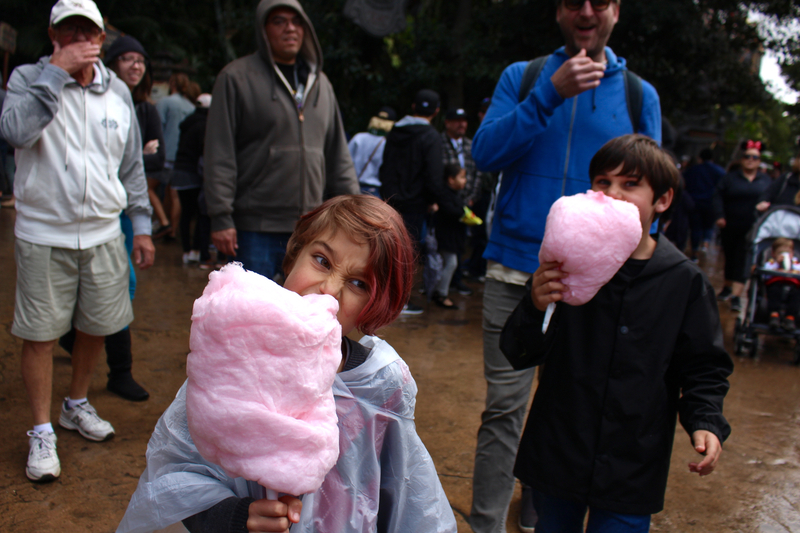 And we’ve definitely got the “being-vegan-at-Disneyland” thing down, with the perfect mix of not-too-heavy staples that we bring in our back packs, and knowing all the delicious vegan eats around the park. 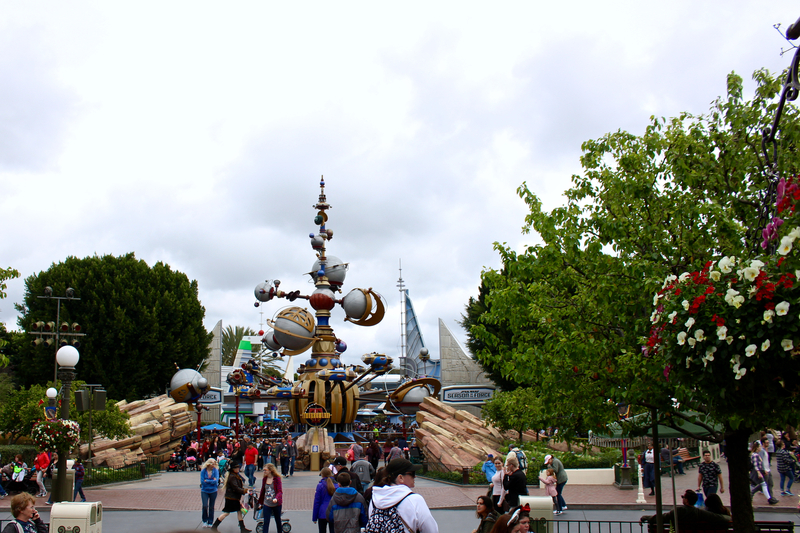 We did most of our eating on park-bought food this year, and it was great! 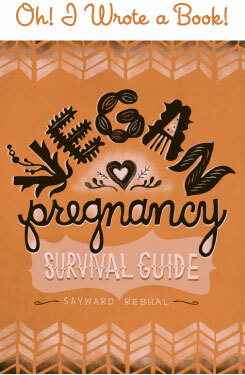 I think after next year’s 5th trip, I’ll finally be ready to write my *comprehensive* Vegan Guide To Disneyland post. We are a family of die-hard (fry-hard?) 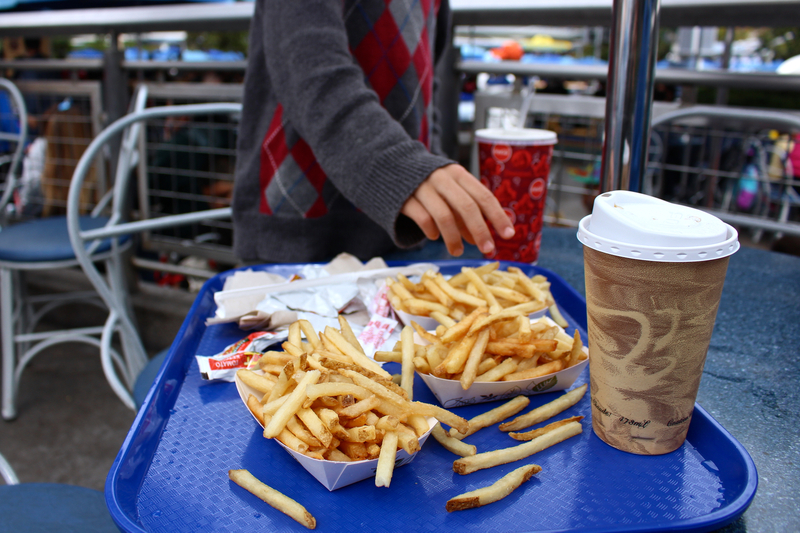 fry lovers. 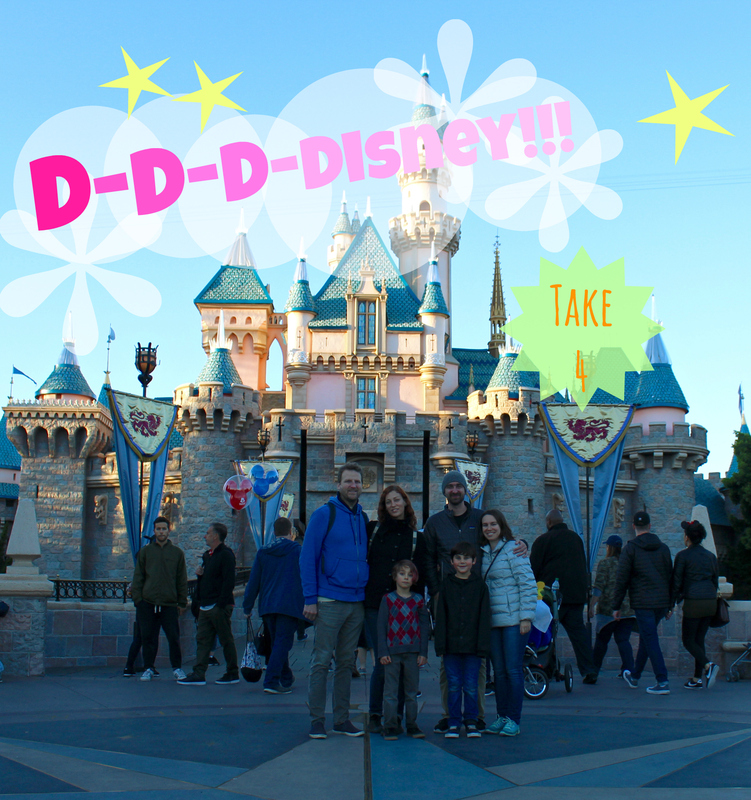 Disneyland is a place that’s made for escapism, but this trip always feels like the opposite of that, for our family. Our little, but not-so-little, family, which looks so very different from the other families there at the park. This trip is about connection, and celebration of us. 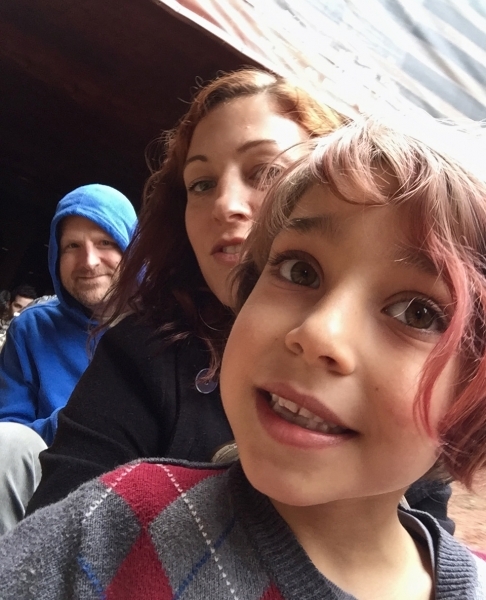 And mostly, of that one little person who keeps us four adults bound to one another with unbreakable love-glue. It’s a celebration of Waits, and a recommitting of the pledge we made to him: To always be a family. To give him stability and support and a strong foundation, in spite of our strange circumstances. 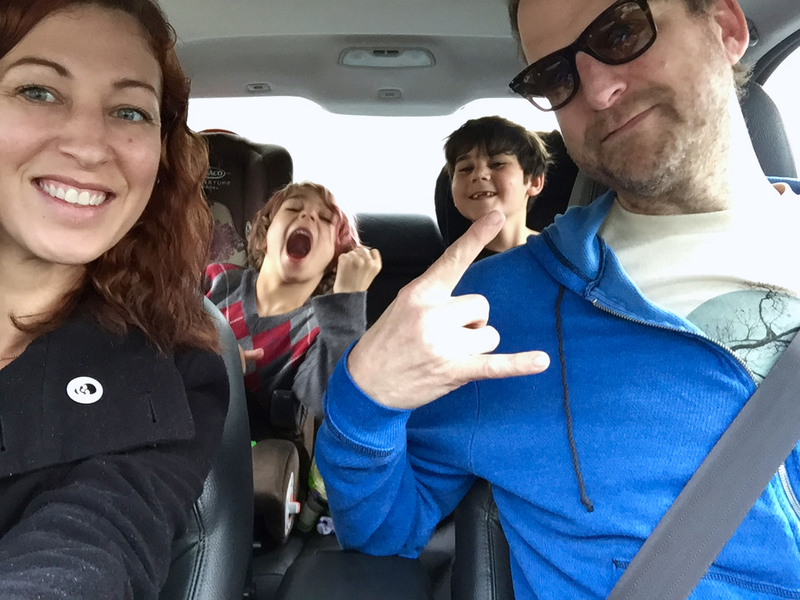 So as always, as I write this post, I am feeling full to my top with gratitude. For my open-minded and open-hearted co-parents. For Damian and for Danielle and for Jeremy. Waits sure is a lucky kid, to have so many people who love him so very much. So *cheers*, Disney. Until next year! FUN!! 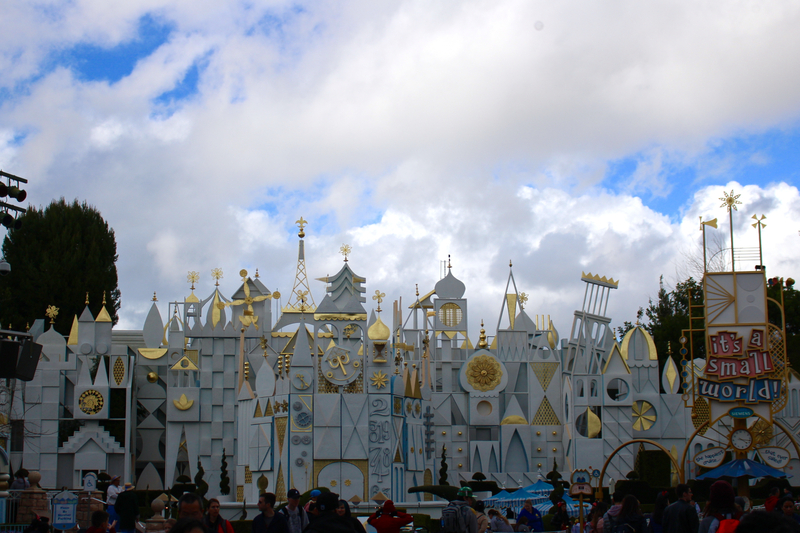 I need to go back to Disney someday. 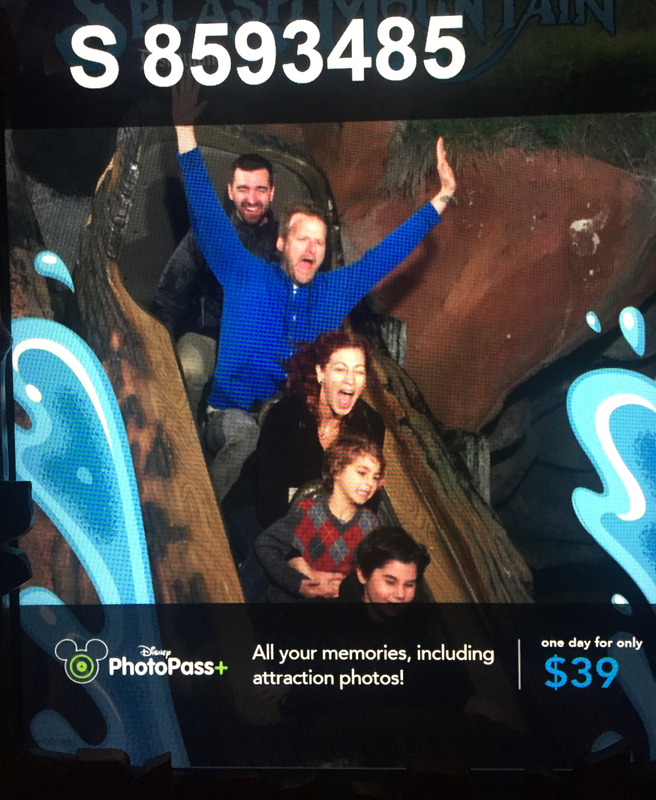 Never been to Disneyland, but I went to Disney World once in college, and it was just as magical as I’d imagine it would have been if I’d gone when I was a little kid. Back then, I was vegetarian but not vegan. 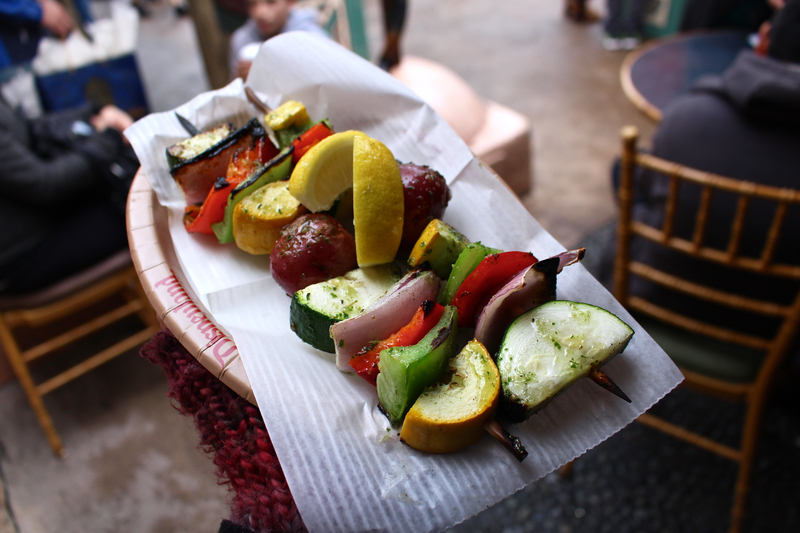 Would love to go back and explore the vegan options! We still have yet to his California Adventure. Maybe next year! Bianca, I firmly believe that you should come out here to California and we should organize a vegan Disney adventure day. YES! So mote it be. Sayward, did you guys hit the Disney this year? 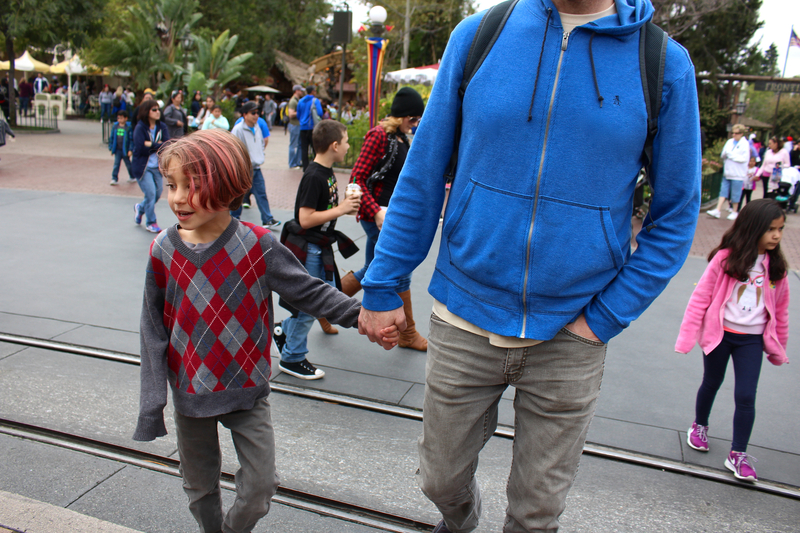 I would love to hear about the “Vegan guide at Disneyland” we are taking our 5 year old son in May.